This year's North American International Auto Show promised more surprises and melodrama than a midday US soap opera. The dark clouds loom ominous over Detroit as a struggling car industry prepares for the North American International Auto Show (NAIAS). 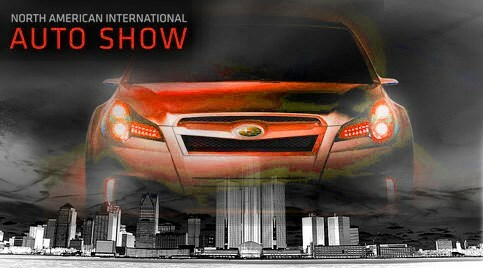 This staple international auto show, established way back in 1907, has been ripped through by the winds of change. The Big Three, whose offices cast their own shadows over the exhibition centre, are hanging by a thread in the red. Big brands Nissan, Jaguar and Land Rover are spending their money elsewhere - the Chinese taking their stand space with multiple new models of disturbingly similar appearance. And V8 is a dirty word, swept out the door by electric mini-movers, fuel cells and Hybrid hype. Here’s our pick of the top ten hybrid cars.